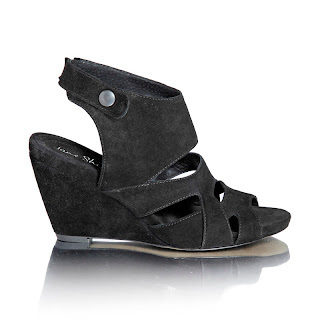 The wedge is making a comeback and has been seen on many a catwalk for the Spring 2012 collections. Wedges are here to stay, so it's important to know how to wear them. Many fashionistas will be happy to hear about this shoe's reappearance on the fashion scene, as wedges are invariably easier to walk around in than standard spike heels. They offer the same leg lengthening height as other ladies shoes, but make walking and dancing a far less painful experience. Wedges are made from a wide range of materials, with each material offering certain pros and cons. 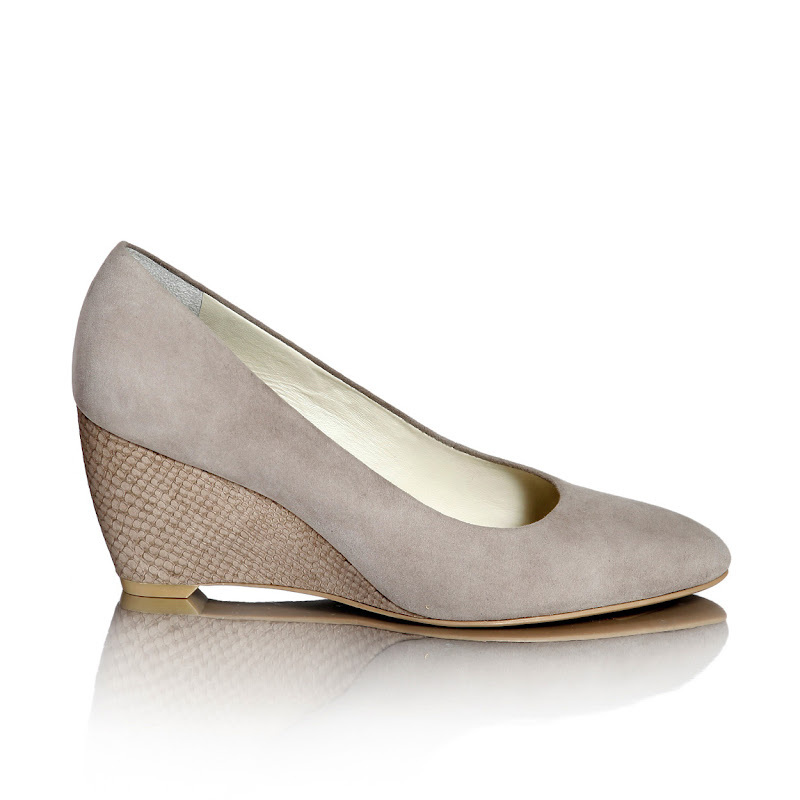 Wooden or cork wedges tend to be quite low maintenance and work well with most light colours. However, they may not be the best choice of wedge material to pair with that little black dress. Suede wedges look beautiful and offer a more sophisticated look for when you want to dress up and look glamorous. They do have their pitfalls, however, as they need to be treated with suede shoe care products regularly and can be difficult to keep clean. Not all wedge heels are alike, so make sure to find the right one for your particular foot shape and ankle strength. Whilst slip-on wedges with no straps can look great, those who need extra support around their ankle may be better off choosing a wedge shoe that has both an ankle and a foot strap. Wedges work well with virtually any outfit, but do bear in mind that they may not be quite as 'dressy' as a standard high heel. They do, however, look fabulous with both skinny and flared jeans. With flared jeans, they give a very 'seventies' vibe to an outfit and with skinny jeans, the chunky wedge heel can balance out one's proportions. A bright, coloured pair of wedges, in red for instance, can really liven up a plain pair of dark jeans. Day and Night For the upcoming warmer months, try pairing wedges with some shorts or an A-line skirt. 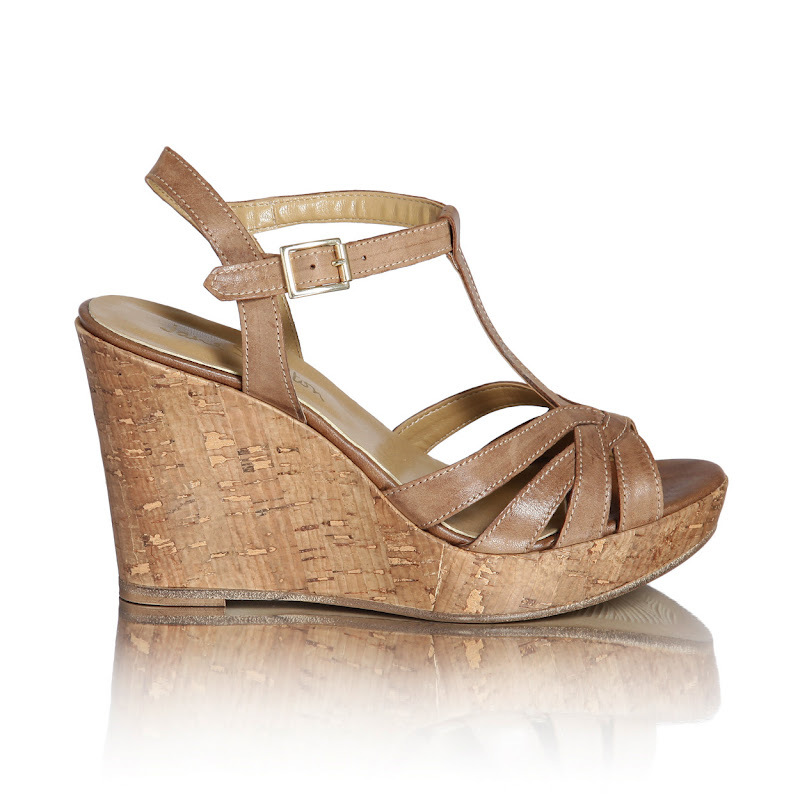 Thicker, cork wedges look great with summery clothes and are a breeze to walk in as well. They're perfect for daytime shopping or taking a casual stroll through the park on a sunny day. For nighttime glamour, a wedge heel in a suede material would go perfectly with a slinky skirt and a small clutch or handbag. Wedges are not just for the summer, though; although open toe wedge shoes look great, closed toe wedges in darker colours are good for anyone who wants a pair of shoes that will take them from summer to winter. Closed toe wedges look terrific with bare legs and a skirt in the summer and just as fabulous with tights and a dress come wintertime. Wrap dresses are another wardrobe item that work brilliantly with a wedge heel. Wrap dresses are a great way to look stylish, but can look overdone during the day if worn with standard high heels. However, a wedge will give that bit of much needed height to this outfit, without making you look overdressed. Thanks to Zoe for this great post!